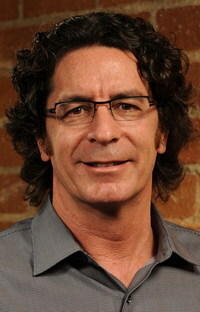 Steve Jillings has a long track record of running successful startups in Southern California, ranging from such companies as FrontBridge Technologies (sold to Microsoft in 2005 for over $200M) and Vantage Media (acquired in 2007). Steve is now in charge of Marina Del Rey-based TeleSign (www.telesign.com), which has quietly become a huge force in providing authentication services to nearly every major Internet service out there. Few people have heard of TeleSign, but odds are you have used some of the services the company provides in the last week--or even this morning. To learn more, we caught up with Steve. We know you've been doing well as a company, but surprisingly, not many people seem to be aware of what you are up to. For those folks, can you describe what TeleSign does? Steve Jillings: We have been doing super well. 2011 was an incredibly huge year for us, and 2012 will be the same way. TeleSign provides authentication services for the largest web companies in the world. What we do, is we help companies identify who is accessing their sites, and registering for their services. We primarily use the telephone security method. A real simple example, is someone comes to register for a particular web service, puts their name, and contact information into a site, and our clients asks them for a valid phone number. We take that number, and send them a one-time PIN code. That users get the PIN code, enters it into the registration screen, and if they typed in the right code, they can complete registration and get access to all of what a service provider gives them. What that has done, is it has allowed our client to reduce the number of bogus and fraudulent accounts, which are often used for nefarious purposes after the fact. We have a lot of proprietary technology which we have developing with these phone numbers, including a way to identify attributes of a telephone number before our clients accept a particular user, for example, when someone is going to register with them. We can tell that they're using a voice-over-IP phone number or prepaid mobile phone, and we might not allow them to register because their experience is that a majority of their fraudulent activity comes from those type of phone numbers. We've been very successful in reducing fraud for our clients, and reducing the number of bad actors in their ecosystem. We've been really successful with global companies, and all of our clients are global. We operating in more than 200 countries and territories, including some of the strangest places in the world that you've never heard of. We handle literally any language that a client needs us to, and are approaching 80 different languages. For example, we handle all of the main languages, including dialects. In English, for example, we handle American English, Australian English, English English, pretty much every flavor. That way, when we send a voice verification to the user, they can completely understand what is being said to them. We also do SMS verification, and sort through all of the complexities of delivering SMS all over the world. We've been very successful at getting really large clients to use us over the globe. We're aware that many of the Internet giants are using your service, though we can't name them. How have you managed to get so many of them to use your services? Steve Jillings: At some point, the more big clients you have, the more big clients you get. We were very lucky a couple of years ago. A number of high profile clients were having issues, and selected us to fix those issues. We did such a remarkable job for them, that really allowed us to grow our client base quickly. If you think of literally any large consumer web company, they are either a client today, or in a pilot process with us. It just gets to the point in our business where, because we were able to get large clients early, it's forced us to get really good at what we do. Part of that is the fact that we can provide service sin every country in the world. There are just very few providers with that kind of scalability. We have services in every country, and we even run through five different traffic routes to every country, which enables us to have extremely high delivery rates, and enterprise grade reliability. That is exactly what the type of clients we have are looking for. As they start looking for service providers with this type of service, the first question they ask, is who has full and complete global coverage. Every other hand goes down, and ours stays up. Ask who can handle these languages, and our hand stands up, and maybe one other hand is raised. We've tackled the really big problems first, which has enabled us to retain these clients. You found the team behind TeleSign, and have helped bring together a team to scale out the business. Can you tell our readers the story behind how you found the company? Steve Jillings: I've been at the company for eighteen months, but the company has been around for seven years. They started in January of 2005. The founders had the foresight and the stick-ability to stick with the program all the way through the dark days. For many years, they said--we have this service, but no one cared about it. Today, everyone cares about it. I was actually introduced to the TeleSign founders through Summit Partners. I was sitting on the board at LiveOffice, which was funded by Summit Partners, and was just sold to Symantec two weeks ago. One of the partners, Greg Goldfarb, was really excited about Telesign. He called me and said--this is a company you might be interested in, maybe taking a board seat, or co-investing in, or helping them get funded. I was introduced to the founders. I was absolutely fascinated with their story. The had many of the attributes that FrontBridge had when we sold to Microsoft a few years ago, which was a very successful transaction. I saw Telesign and said to myself--this is what I'd do if I was running things here. Within a relatively short amount of time, one thing led to another, they asked if I'd consider joining them in running it. At that time, I was actually planning to take year off to relax, but I found it so compelling, I decided to jump in with both feet. It's been unbelievable. There is no question, that this has absolutely, far exceeded any expectations of the company and opportunity. Would you say this is a similar opportunity to what you saw with FrontBridge? Steve Jillings: FrontBridge was a really great company. They had twelve people when I took over at FrontBridge, which was then an interesting idea. I got involved with Telesign when we had twelve people, and a super interesting idea. However, I think the adoption and revenue growth here will outstrip what we did at FrontBridge. That ended up as a $200 million sale to Microsoft. If I look at this organization, I'd say we're building something which will have lots more long term value than at FrontBridge, so along those same lines, I felt I needed to bring in a team to run it. I've actually pulled in a lot of FrontBridge's management team to help me. If you look at our web site, there is Charles McColgan, who is the CTO; Forrest Hobbs, who is VP of Sales; Terry Somers, who is VP of Network Services; Max Powers, who is VP of Client Services; the list goes on and on. There are so many people in this organization who have worked together before, and we all have an excellent working relationship. We know and trust each other, which has allowed us, in the last eighteen months, to grow like crazy. We have a team that knows and trusts each other, and has come in to help the founders take this business to new heights. Is that team the key to your prior success? Steve Jillings: As you know, this is my ninth project. I've done this a lot of times. Generally, one of the things I've focused on, is really enjoying what you're doing. We've always been able to build an environment which has been really fun, where there has been lots of success. I've always had team members follow me from project to project. The people here are on their fourth go-around with me, and with things like TeleSign, that's really critical. It's very important to bring team members along with you who know exactly what to do. I'm a big believer in the statement that people do business with people they like. If they like and trust you, it makes things so much easier. My first big move here, when I came to Telesign, was I felt we needed a high quality CTO. I flew to Seattle, had dinner with Charles, who had been at FrontBridge and was at Microsoft, and by the end of dinner, he had agreed to join me. It's been fantastic. We moved his family from Seattle, and I've been able to basically forget about that side of the business, because I know it's in good hands. I've done that systematically in every position. We know where we have to focus on to grow the business in a really successful manner. One person cannot do that, you need a high quality team, and we've had the privilege of being able to pull together a high quality team. What are the big things you're working on this year? Steve Jillings: We have really big stuff coming in 2012. One of the big things about Telesign, and if you go back to the founders, and the things they did well before I got here, is they spent lots of time and effort around writing patents and protecting their IP. In 2011, we had two of our patents approved. One was for our PhoneID product, which is extremely important to us. Another was for our product, TeleBureau, which we were advised was approved in December, and which you'll see a press release coming out soon. TeleBureau is a project where we are building the largest reputation database for telephone numbers. Think of it as a credit bureau for phone numbers. Telephone numbers are used in every transaction that happens online. Everywhere you go, people want your telephone number. We'll be able to provide a database to every online merchant, and every online web company, or anything online can use the database, and we'll return back a confidence score to them on that phone number. It's a really exciting project, and we've developed a ton of excitement from large web clients, who see this as something that can help them fight the good fight against fraud. That product is in Alpha, and we expect that to enter beta in early Q2, the full GA at the end of Q2. That covers everywhere in the world where there are transactions today. We've seen millions and millions and millions of transactions all over the world, and we feel that we have lots of data we can use for this. We also opened an office in London last year, and great things are happening through the EMEA. Right now, we're bringing in big deals from places like Russia, and we've also got lots of activity in Asia. Really, 2012 for us is a year of tripling our investment in product development, investing heavily in both our sales model, and in our channel partner programs.